Cash for cars fast. Got an old car in the driveway that’s starting to grow roots? Sell your second hand used car or junk car now. Get a free quote of your car’s value right over the phone. Cash for cars as quick as one hour. Experienced car buyers that know how to make the sale as simple as possible for the seller. We are just a phone call away. Want to sell a car early in the morning, in the evening or on the weekend? We schedule appointments that work with your schedule. Call us or fill out the online price quote form. How do I sell a clean car 4 cash? We buy late model cars, trucks or vans in excellent condition for top dollar. Call for a quote. On many cars we pay dealer trade in value. We’re a great place to get a price quote on classics cars, exotic cars, trucks, vans. Who buys cars that are not running? We pay more than many junkyards for cars that need work or repairs. Sell a car in any shape. When we buy inoperable cars we send a licensed, insured flatbed truck to your location to tow it away. Wrecked or junk vehicles are recycled in an eco friendly way. Our scrap processing junkyards handle recycling motor oils, parts and steel. We buy cars that have been a dream or a nightmare! Lost a title? Call us we can help out with the correct paperwork needed. We have many years experience buying cars in S.F.V. Find us in Van Nuys Ca 91401, in the San Fernando Valley, Los Angeles, California. 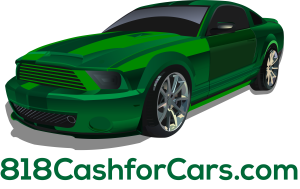 Fast car cash in a city near me; Arleta-Pacoima, 91331, Canoga Park – West Hills, 91303, 91304, 91305, 91307, Canyon Country, 91351, 91386, Chatsworth, 91313, 91311, Encino, 91316, 91426, 91416, 91436, Glendale, 91203, 91205, 91204, 91206, 91221, 91201,91202, 91207, Granada Hills, 91344. Car buyers all over the valley, La Crescenta, 91214, 91224, Mission Hills, 91315, Montrose, 91020, 91021, North Hills, 91343, North Hollywood, Cahuenga Pass, 91602, 91603, 91606, 91601, 91605, Northridge, 91330, 91324, 91325, 91328 Panorama City, 91402, Porter Ranch, 91326, Reseda, 91335. Find us on Ventura Blvd minutes from, Sherman Oaks, 91403, 91423, 91413, Stevenson Ranch, 91381, Studio City, 91604, 91614, Sun Valley, 91352, Sepulveda,91343, Sunland – Tujunga, 91402, 91403, 91040, 91041, Sylmar, 91342, Tarzana, 91356, Toluca Lake, 91610, Topanga 90290, Universal Studios, 91608, Valley Village, 91607, Van Nuys, 91401, 91404, 91406, 91405, 91411, Winnetka, 91306, Woodland Hills 91364, 91367. 90263. Beach cites to Beverly Hills, 90210, 90209, 90211, 90213, 90211, Burbank, 91501, 91510, 91502, 91503, 91521, 91504, 91505, 915233, 91506, 91507, 91526, 91508, Calabasas 91302, 91372, Ventura,93001, 93002, 93003, 93004, 93005, 93006, 93007, 93009,Valencia-Saugus, 91321, 91322, 91355, Santa Clarita, 91350. And sometimes Malibu, 90263, 90264. Free used car value quote or use free online quote.